“Zambia-focused copper producer Equinox Minerals Ltd. plans to leap into the top 20 of global copper producers with a 1.25 billion Australian dollars (US$1.24 billion) bid for explorer Citadel Resource Group Ltd. Global annual copper output in 2009 was 16Mt, growing at a modest annual rate of 3-5%. The 260,000 tons per year by 2014 would therefore correspond with approx. 1.3% of global copper production. The share price of both companies increased after the cash & stock offer, signaling investors expect the merger to create value. The acquisition offer is part of a renewed interest in acquisitions in the mining industry, as companies that have survived the crisis with cash reserves are trying to grow by mergers. The exact source of synergies for the merger is unclear. The bid holds a premium of approx. 20%, which appears to be much more than what management and trading synergies could achieve. Many recent acquisition attempts in the mining industry appear to be more driven by management politics than by financial rationale. 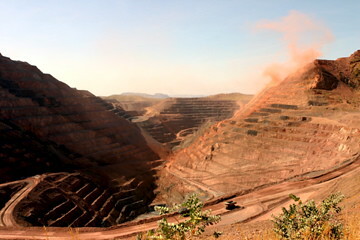 Highest synergies in the mining industry are typically achieved in the logistical area (as attempted by the Australian BHP-Rio Joint Venture). The Equinox-Citadel combination, operating in Zambia and Saudi Arabia, is not expected to realize any savings in this area.